Until late 2016, I had to search through the bookmaker websites to find the low odds teams and then manually enter them into a spreadsheet in order to complete an accumulator offer. It was slow and quite laborious! This has all changed thanks to the awesome OddsMonkey Acca Matcher. All 4 Lay Methods - Works for No Lay, Lay All At Start and both Lay Sequential methods. If you don't yet have an OddsMonkey Premium account, it is only £17.99/month with a 30 day money back guarantee, so if you don't find it helpful it will not cost you a penny! 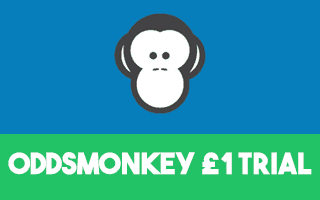 Set up your OddsMonkey account or alternatively read our OddsMonkey review for more details. To help demonstrate how it works, I have recorded a 12 minute video using the 'Lay All At Start' method. Beneath the video, I have included specific advice on using the Acca Matcher for the other methods. 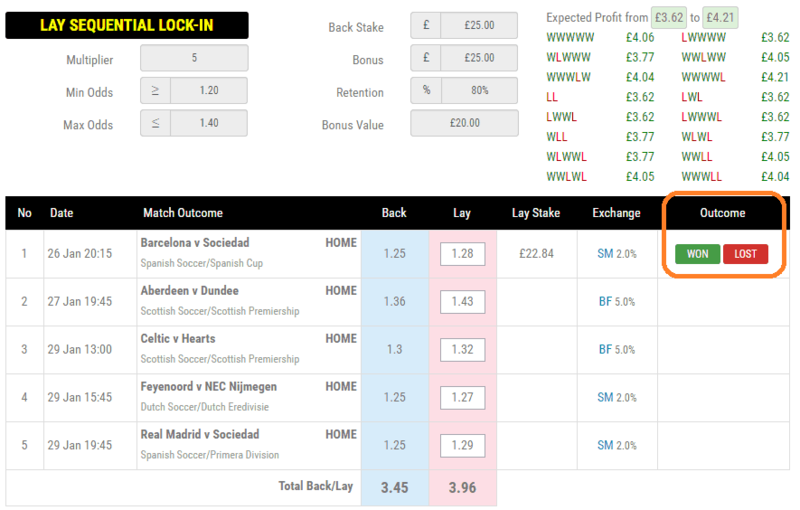 In the video, you can see how to switch teams in & out of your accumulator. However, it's not covered in full detail, so I wanted to add this comment! The Acca Matcher will take 5 teams based on the minimum and maximum odds that are pre-selected (or that you have amended) in the top part of the Acca Matcher. However, whilst these teams will have close back & lay odds, they won't be the lowest odds teams, which as you learnt in 'Football Accumulator Refunds Explained' is key to making up to £6 profit. The reason OddsMonkey does not provide you with the 5 lowest odds teams is that the bookmaker may pick up that you are only betting on the lowest odds teams. What I do though is to switch out the highest odds team with a lower odds team, just to give my accumulator a bit of extra profit than the pre-selected acca. In this accumulator, which as an expected value of £4.08 and a maximum loss of £12.95, Villarreal have the highest back odds (1.36) and the lay odds aren't close (1.43),. By switching one team to a lower odds team with closer back & lay odds, my expected profit has increased to £4.76 whilst the maximum loss has decreased to £9.72 - excellent! Note this is trickier to do with Lay Sequential and Lay Sequential Lock In, as you need to ensure there are no games overlapping (however, if this is the case the Acca Matcher will put a red caution next to the game). 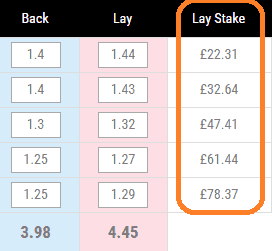 As mentioned above, switch 1 or 2 teams in & out as you wish to increase the expected value/profit a little! The lay stake increases with each game, just remember as soon as 1 team loses that you don't need to continue with the remaining lay bets. Just hope the remaining teams win and you'll receive your free bet! 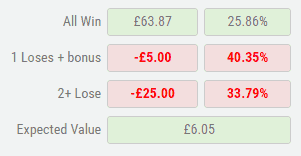 So in this example, the trigger bet loss is £3.81, whilst if one team loses then I will receive a £25 free bet worth £20 cash (giving a net profit of £16.19, being £20 - £3.81). This is easy to do but does require an additional step not covered in the video. The reason you need to do this is, as explained in the Lay Sequential Lock In guide, once 1 team has lost, you significantly reduce your lay stake. The Oddsmonkey Acca Matcher automatically calculates this for you, it just needs you to enter whether your match won or lost (a quick google will tell you the result, or if not then Flash Scores mobile app or website, or check on the bookmaker website). Remember, once 2 teams have lost, you stop laying the remainder of the accumulator, as explained in the Lay Sequential Lock In guide. OddsMonkey Acca Matcher - Try For Free For 30 Days! Joining OddsMonkey is a hugely beneficial if you're looking to make more money and save time matched betting. It costs just £17.99 per month and if you're not enjoying it within your first 30 days, you can get a full refund no questions asked! Not sure yet? Read our full OddsMonkey review here.